Massage is the physical maneuvering of the soft tissues of the external layer of the body and body parts for therapeutic purposes. Massages may be characterized by gliding, pressing, tapping, vibrating and kneading. This therapeutic intervention may also involve joint movement, cold or hot compresses and use of holding techniques to help increase range of motion and muscle tone. Swedish massage was developed by Dr. Per Henrik Ling a Swedish doctor. This massage method is the most commonly used massage type in aromatherapy. This Swedish doctor studied massage techniques, physiology and gymnastics from different countries leading to the development of this massage technique. Procedurally this massage type has 4 kinds of strokes that will work on different body parts. Effleurage is the first that is characterized by long-gliding strokes. Second is Petrissage which is basically kneading the muscles where the muscles are lightly grabbed and lifted to release tension. Friction is the third that is commonly used in rubbing the hands and fingertips to reach the deepest of these body parts. Friction will also allow active and passive joint movements for increased range in motion. Tapotement is the percussion type that is done either by chopping, beating and tapping. Lastly is vibration that which the muscle group is shook briefly over a couple of seconds with fingers either pressed or flattened. This massage technique by far is most beneficial in treating a wide range of ailments. Massaging the integument or skin will positively affect the body processes involving circulation, neural function, muscular functions and adrenal functions as well. There are claims that certain massage techniques has a direct correlation to recovery from ailments but on has been scientifically proven by far. Aromatherapists use "hand-over-body" massage type that is similar to therapeutic touch that help the therapist conserve energy. 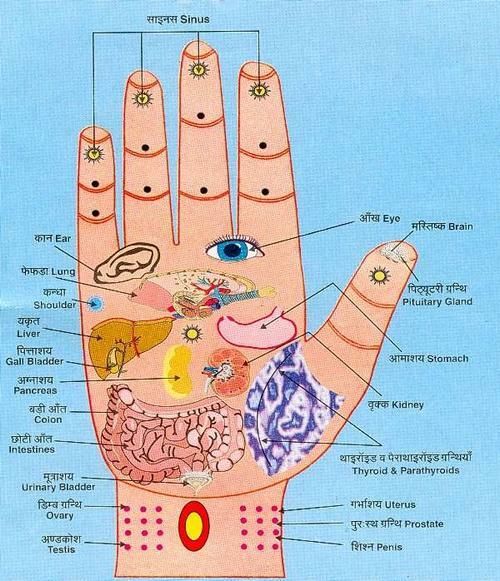 Acupressure is an art developed by the Chinese 5000 years ago. This is characterized by the application of pressure on points on the body similar to acupuncture but less the needles. This method uses the meridian as the point of reference to apply pressure on. Meridian is the invisible system where energy is channeled. It is believed that the obstruction or any delay on the flow of energy through these channels will cause disease. Acupressure is believed to clear the obstacles and promote the normal flow of energy resulting to optimum state of the body. William G Sutherland is an osteopath that developed the Craniosacral Therapy in the early 1900s. It was further developed by Dr. John Upledger. This massage technique is based on the concept that the bones of the skull may be moved or manipulated. It also believed among practitioners that they gain the capability to attune themselves to their clientâ€™s rhythm when using this method. There are claims that with the use of this method they are able to improve the flow of energy thus improving the quality of life and promoting health but none of these claims were proven and additionally as conventional wisdom the sutures (separation) of the bones of the skull fuse at an early stage in life. Deep tissue massage is a method used in trying to reach into the deep portions of thick muscle or muscle groups. The method utilizes compression and friction onto the grain of the muscle to which the aim is to loosen up the muscle to release tension. Infant massage is taught to mothers that is one of the best ways to bond with their child. This method implores the use of a motherâ€™s touch and reflexology. Touch is one of the few ways to communicate to your child during this early stage of the infantâ€™s development. It was notable that infants given this massage gains weight faster than those who does not get any by 47%. Lymph system massage was developed by Hans Vodder in 1930s. He has noted the correlation between edema, colds and other ailments to blocked lymph passages. With this observation he developed this massage system that is specific to massaging the lymph nodes and clearing the lymphatic system through rhythmic strokes that applies pressure to the muscles where the lymph flows to. Polarity Therapy was developed by chiropractor and osteopath Randolph Stone. This massage technique utilizes wisdom on rent medical practices from different cultures. Few of these practices are yoga, Chinese medicine such as acupuncture, Ayurvedic medicine, and techniques like shiatsu. The combination of these has been believed to remove obstacles and promote health. It is also believed that this method will aid in balancing the flow of life force from the head (positive pole) and feet (negative pole). Shiatsu is the most widely used acupressure type of massage technique. Shiatsu means pressure exerted by the fingers. Shiatsu is a term in Japan to describe this method. This utilizes the hand, knees, elbows, fingers and sometimes the feet to free the meridian of blockage and promote health. The pressure is applied on meridian points. The rhythmic pressure is applied 3-10 seconds per set. The procedure may involve mild stretching to increase the range of motion. Reflexology was devised by an American Physiotherapist Eunice Inghram in 1930s. Reflexology is another acupressure type massage technique that is popular in the United States of America. The methodology used on reflexology is that the pressure exerted with the fingers is directed towards either the hands or the feet. Specific meridian points in the plantar areas of these body parts are believed to be related to certain organs that if pressure is exerted on these point that it will remove blockage and increase the flow of energy to them. It is also believed that the use of this methodology will help in expelling toxins, increase circulation and improve health as well. Additionally, it is believed that this is effective against certain serious illnesses. It is through this method that pressure is applied to certain crystalline deposits or tenderness to rid oneself of dysfunction and to normalize bodily function. Reiki is a massage technique that was devised by Dr. Mikao Usua. He is a Christian monk who discovered the ancient manuscripts containing the healing system of the era during the 19th century. It is believed by practitioners that this method is able to channel life energy by placing the hand on certain points of the body or near the body. Another type of Reiki is the visualization of a special symbol that will channel life force even to a remote location. The Radiance Technique is a method of Reiki that claims to be enhancing the mental, physical, emotional and spiritual state enforcing balance.